Like the ingredients of my favorite road trip snack Blue Dinosaur Bars, keeping it simple is the key to any great road trip. I love these bars because they're vegan (yay! ), not too sweet, filling, and super nutrient rich. It's always been my rule of thumb not to overcomplicate and not to overpack, and it seems like Blue Dino has the same concept for their bars. I too believe that 5 simple ingredients is all you need, and can make for the perfect adventure. By making sure you've nailed down these points before you take off on any road trip, you're sure to make memories for a lifetime. Almost nothing is more important on a long journey than a trusty steed. We sprung for a vintage VW van named Rell Sunn from VW Surfari -- she was the star of the trip. Zipping through the winding roads of Big Sur and curled up to the Redwoods in a rainstorm, she always pulled through for us, keeping us dry and safe and bringing a damn good time. Our pick: Big Sur. Starting off in Los Angeles it's about a 6 hour drive, long enough to make a few fun stops but not too long that all we did was drive. A huge contrast from the busy life of the city, we were wide-eyed at escaping into the Redwoods and enjoying the scenic journey to get there. I'm not just talking about your best friends, I mean the friends you've got that are down for WHATEVER. Who won't freak when things go wrong (because they will...) and who find solutions rather than problems in the day-to-day. Friends who love to blast tunes and dance under the moon, who will stay up with you when driving gets exhausting, who always want to see what's around that next bend. Some friends are meant to adventure with, and some you should avoid sharing small spaces with for extended periods. Know which are which. An epic road trip playlist is a must and a good friend won't mind being DJ while you captain the ship. Blast 'em hard and loud, but make sure everyone along is down for the picks, otherwise things could turn sour real quick. Food can be the difference between moral dropping suddenly or soaring through the roof! Always have an array of snacks, light and healthy so energy levels stay high. That's why I love Blue Dinosaur Bars, their flavors vary so you never get bored, and their Lemon Macadamia is one I look forward to inhaling after a surf or after the first long leg of driving. 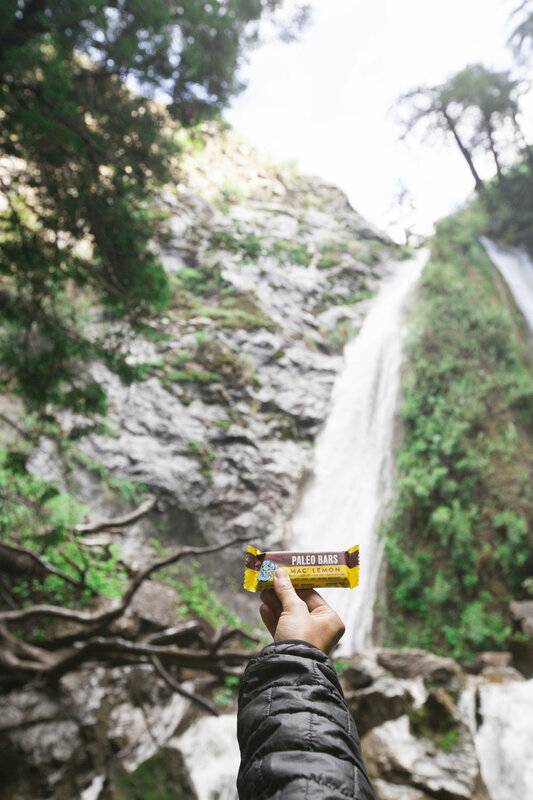 No need to reroute or delay the voyage, these bars are perfect on-the-go and make for the perfect road trip companions. You'll be so glad to have them!